When 3D came, the question was, could there be anything better? Fast-forward a couple of years, and yes, there is something better—Virtual Reality. In recent times, the trend has been shifting from immersive entertainment to interactive entertainment. No doubt, some industries—medical industry, academia, and the military—have been far ahead than mainstream consumers in interactive media. Of course, this has always been the case. However, the long wait is over, and VR is now becoming affordable for most of us. With that said, we should point it clearly that virtual reality headsets are a working progress. Unlike smartphones that have pretty much plateaued for a few years now, VR headsets are going strong with plenty of improvements hitting new versions. Therefore, it is important not to base your decision solely on price or looks. Rather, it would be wise to base your decision on features, so your aesthetic new cool headset does not become obsolete in a few months’ time. That is where we come in: We give you an overview of what VR is all about to make sure you do not make an undesirable choice simply because you relied on marketing hype or descriptions that are infamous for being outrageously inaccurate sometimes. In addition, we offer several premium options to choose from, and review the top 3 best virtual reality headsets in detail. With this guide, you should have no problem finding a top-grade VR headset that is suitable for your needs. The meaning of the term “Virtual Reality” is not difficult to put together if you can tell what each word—Virtual and Reality—mean. However, there has been a massive marketing campaign by many manufacturers, trying to profit from the new buzzword. Interestingly, their products may not be true VR headsets, but because they offer something that an uninformed buyer may easily confuse as virtual reality, they do not mind slapping the VR tag and stocking store shelves. Most products that fall in this category are actually personal viewers and include the GoPro Surf, Flickr VR, and Ski VR. No question, they often are phenomenal at what they do, wish is view images. However, that doesn’t make them VR headsets. VR headsets such as our top pick—the Samsung Gear—do not only offer remarkable viewing, they allow you to interact with the virtual environment you are exploring. The end-point is to make it appear as though you are physically present in the virtual environment. Personal viewers do not have this ability. A VR headset is only one part of the VR experience. The other components are a device to run a VR program and a controller for interacting in the program. Devices that can run the VR program include specialized consoles, PC, and smartphones. The creators of VR program often indicate the intended device(s) on which their programs can play. These programs are often games and applications. The VR headset is the video screen that you use to view the virtual reality program. There are two kinds of VR headsets. The standalone units that have a display built in and the units that use your smartphone as the display. VR headsets are improving by the day, with manufacturers improving their performance. For example, sophisticated sensors are baked in to track your head movements for a more fluid VR experience. The controller is the appendage that lets you interact with the VR environment (usually games). It adopts several forms. It could be a specialized controller, a regular gaming controller, trackpads, or joysticks. An important fact to note is that all three components must be compatible to get a full-fledged virtual reality system. Therefore, you should be mindful of compatibility when purchasing the best virtual reality headset. For the last half a decade, Samsung has been one of the top 5 biggest R&D (Research and Development) spenders. With terrific products like the Samsung Gear VR finally making the rounds after years of testing, you begin to have a clear understanding of where all the money is entering. The Samsung Gear VR enters a Virtual Reality space teeming with wannabes and aesthetic pleasing devices with not enough content or disparate viewing experience. The Gear VR changes all of that. It has the stylish design. It has lots of content. It leaves you mesmerized by its apt VR performance. 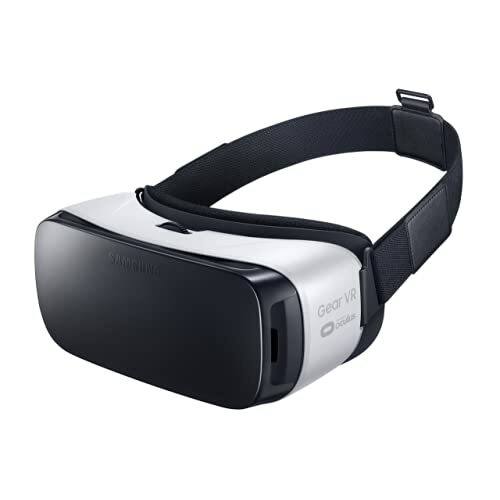 The Gear VR has a sleek design and supported by two adjustable straps. The first goes around your head and behind your ears, while the other goes over the top of your head for a more secure fit. Samsung includes sufficient foam padding around the bridge of the nose and the eyes for maximum comfort regardless of how long you wear the device. The Samsung Gear VR works with Samsung’s flagship smartphones in a close-knit ecosystem that guarantees you premium VR performance. Starting off, you can carry out routine controls using the touchpad positioned on the right side of the Gear VR. The Gear VR works in tandem with your phone’s sensors to make head movement in the virtual reality environment seamless. What you would appreciate more is the encompassing field of view that makes it feel as though you were dropped right in the middle of the action. You can comfortably see everything around you as you have full range of motion within the virtual environment. For intensive gaming action, you would appreciate the ability to use the Gear VR while it is tethered. The micro-USB port needed for the tethering is conveniently positioned under the right edge of the headset to prevent obstruction. We recommend that you use a high-level surround sound headphone to have a fully immersive experience, as the audio from your phone’s speakers do not match the mind-blowing video experience. If you are new to the VR experience and don’t have the circa $100 for the Samsung Gear VR, then the Google Cardboard Kit by D-Scope Pro is ideal for you. Now on sale of less than $20, this VR headset is worth every cent. The build may not be as solid as the Gear VR, but at the price, you really can’t complain. You have to set it up, and there is a guide in the package on how to do the setup yourself. Fortunately, you do not have to be a techie to be able to assemble the Kit. 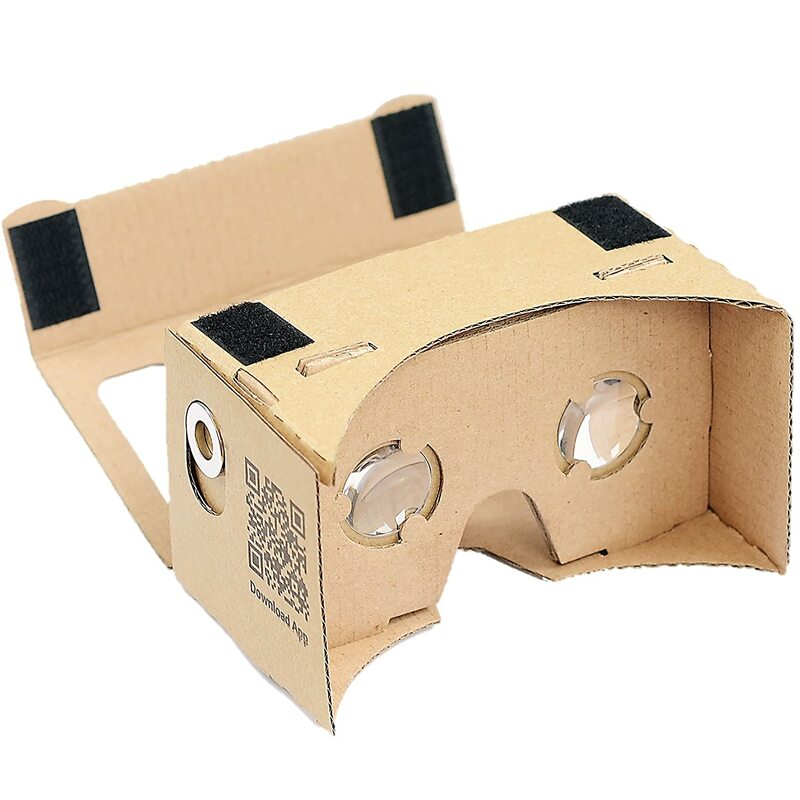 Where the Google Cardboard Kit excels is in its performance and the fact that you can use it with most flagship smartphones running Android or iOS. Therefore, it has more versatility than the Gear VR. Nonetheless, it is best to use it with smartphones with high-resolution displays and very fast processors for a better overall experience. 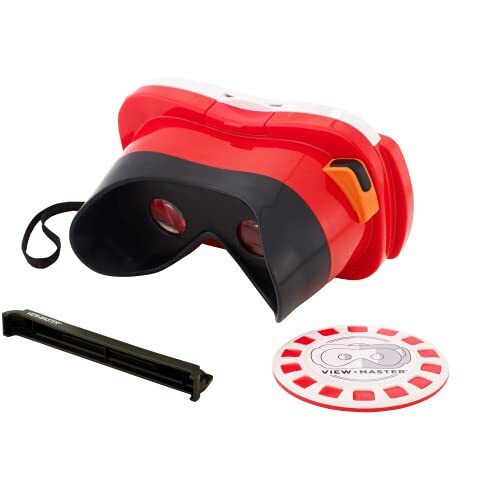 The Mattel View-Master DLL68 is appropriate for kids but also provide an entry-level VR experience for adults. It bears some similarities to the Google cardboard including the ease of usage (you only have to lock your smartphone into the headset), the ability to use many high-end smartphones from different manufacturers running either Android or iOS, and its sub-$20 price tag. Nonetheless, it does offer a more aesthetic build than the Cardboard, does not require a DIY setup, and includes a wrist strap for easy transport. In addition to working with many smartphone models, the View-Master Virtual has its own apps and works with Cardboard products as well. You do not get much legroom as you would with the Gear VR like using it with headphones or adjusting the volume once your phone is inside the headset. However, it is an understandable tradeoff for its low price: And if your smartphone has a high-resolution display (preferably 4K) and fast processor, the exciting VR experience would make up for these shortfalls.